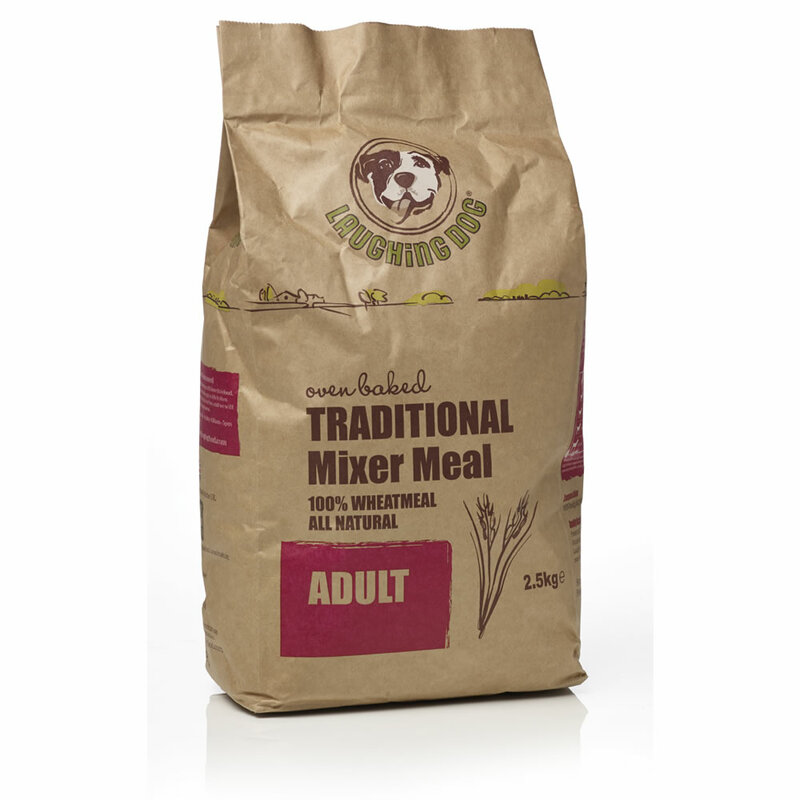 The Laughing Dog Terrier / Traditional Mixer Meal is made up from 100% wheat with no added colours, preservatives or anything else. It can be fed dry or mixed with water to make a fluffy meal. If fed dry you are helping to remove plaque and maintain clean teeth. Being a complementary food it must be fed with meat, vegetables and vitamins to create a complete meal for your dog. Therefore no colours, preservatives, nothing added. 100% Wheat Meal (English wholemeal flour). There are currently no questions for Laughing Dog Terrier / Traditional Mixer Meal Dog Food - be the first to ask one!